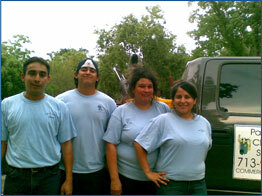 Pasadena Clean in Houston, Texas, Home cleaning service. Pasadena Clean residential home cleaning service. We tailer to an Initial/Deep cleaning of your home. We always come in a crew of three to provide the most efficient and timely detail cleaning of your home. Weather you need a one time service do to a visitor coming to visit, a move in/out cleaning, a cleaning prior to the holidays or an annual spring cleaning, be assured you will be amazed at the results. On the first visit in addition to all listed below your furniture in the main living area will be moved to clean below and behind so to clean every area in the main living area and have a better cleaning experience. Call on Pasadena Cleanfor all your commercial cleaning needs.